One factor is that for road riders the big prizes are won as a member of a professional trade team. For the Olympics each rider is representing their country (not their trade teams) and the star riders are typically not afforded the same depth of intense (professional) team support. However when it comes time to re-negotiate a professional contract is an Olympic Gold of less value than say a Paris-Roubaix victory or a World Championship? Without doubt the most effective way to cover your bases is to win “everything!” The current reigning Olympic Road Race Champion, Paolo Bettini, is also the current World Road Race Champion. His dream is to win the 2008 Olympic Gold while he is also the World Road Race Champion. If he achieves this goal then he may well retire at the end of the season while at the very pinnacle of his long and illustrious career. For any outdoor endurance event the biggest challenge could be the much discussed issue of air pollution over the Beijing region. Riding out of Beijing itself, the 245km road course passes historic landmarks including the Temple of Heaven, Tian'anmen Square, the Forbidden City, Yonghegong Palace and the Lama Temple. Out in the countryside seven circuits pass near the Juyongguan section of the Great Wall of China . A long, but not steep climb will be tackled seven times. The course is described as very tough with almost no chance for recuperation. The time trial course takes in one lap of the road race. The track riders will race in air-conditioned comfort at the newly constructed Laoshan Velodrome in Beijing. 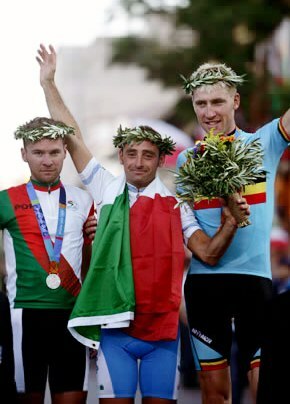 The current Olympic Road Champion, Paolo Bettini (Italy), is favored to repeat in Beijing. However many riders are arriving with their Tour de France form and that may bring us a new champion. Our favorite is Oscar Friere (Spain) who won one stage as well as the Green Points Jersey at the Tour. He was to be seen near the front of the peloton for many of the most significant Tour climbs. With form like that he will be more than up to the climbs of the challenging Beijing road circuit. You can also count that he has three World Road Race Championships to his credit! An Olympic Gold would beautifully crown his amazing career. The road Time Trial should also be a very interesting affair. Sadly the reigning Olympic Champion, Tyler Hamilton, is no longer a viable candidate following his well documented fall from grace due to blood-doping accusations. For the time trial there will be a field of brilliant specialists including Fabian Cancellara (Swi), Michael Rogers (Aus), David Zabriskie (USA), Stefan Schumacher (Ger) and David Millar (GBr) all dreaming of Gold. The current World Time Trial Champion, Fabian ‘ Spartacus' Cancellara (Switzerland) is considered by many as the hands down favorite. He was handily beaten on two occasions in the recent Tour de France by Stefan Schumacher (Germany). In Cancellara's defence it must be said that he played an impeccable role as a ‘super domestique' in support of his team's overall goals at the Tour. With the luxury of proper and dedicated preparation he will be almost impossible to beat in Beijing . This year there is great anticipation for the event as Great Britain will field the team of Mark Cavendish and Bradley Wiggins. Cavendish of course won four stages at the recent Tour de France and many expect him, along with Wiggins, to capture ‘Gold'. In the day's leading up to the opening ceremony the media has been full of stories concerning the air pollution issue. On a par with this there is huge concern about the impact of drugs and the way that winning athletes subsequently failing post race drug tests could seriously damage these Games. Many of us believe that this season has revealed a “cleaner” cycling peloton and that any remaining cheats are being identified. The latest case revealed Marta Bastianelli (Italy) who is the current Women's World Road Race Champion. If she fails her “B-sample” test then that will be the end of her Olympic hopes. Cycling came into the modern Olympics in 1896 during its Victorian ‘Golden Age'. 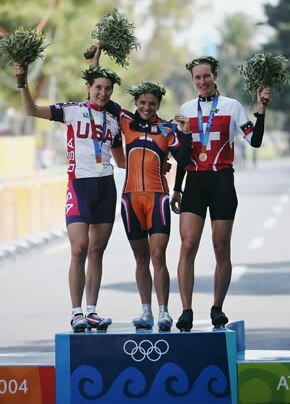 If the sport of cycling exits the 2008 Olympics without an Olympic drug scandal then maybe we can consider this entire year as the beginning of a new Golden Age of cycling.